I like most of the Lego video games. They present breezy opportunities to fight and explore. Their charm compensates for an over-emphasis on collecting things. 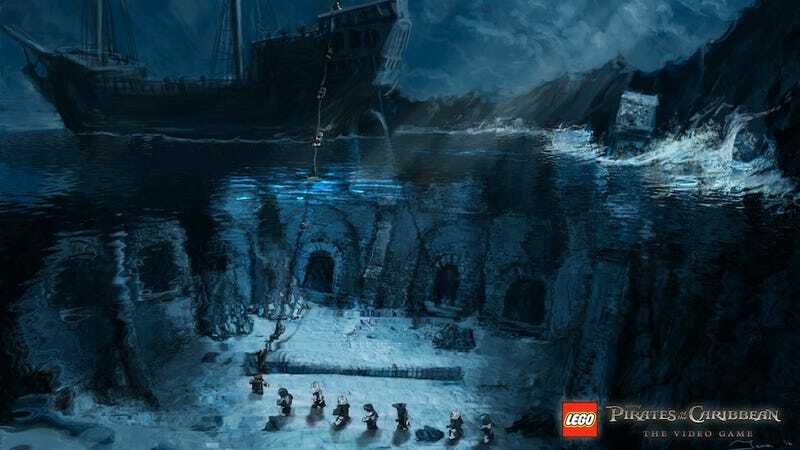 I like these games, but I don't think they are as magnificent yet as this concept art for the spring's Lego Pirates of the Caribbean Indiana Jones [Sorry! I got excited!] suggests they could be. I'd love for Lego games to look and feel like this.